Prost Wurstgrill and Bierhouse in Brickell seemed to be all over the twitter-sphere one week and by the following week, it was gone. Phil Bryant formerly of Swine was the consulting Chef at Prost and had invited Gio from Chat Chow TV and me in for a tasting. I’m pretty sure it was the last meal served out of Prost before its closing. 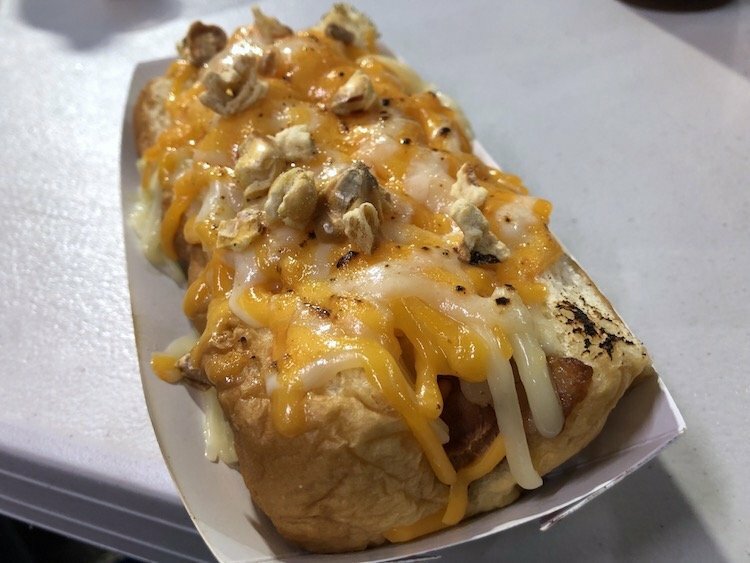 The Riesen-Bretzel, Chicken Sausage, and Hasenpfeffer were the stand out dishes for me. On the fresh cut Fries side, their slicer seemed to be creating an errant larger Fry every once in a while that was just a little bit better than its brothers were. The Brown Butter Aioli complimented the Fries best. 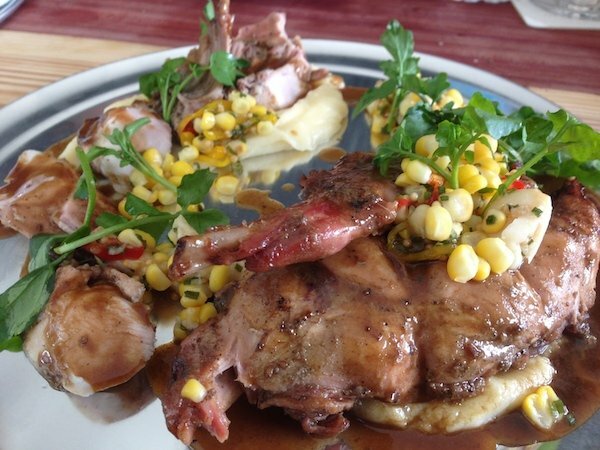 Hasenpfeffer – Half Rotisserie Rabbit w/Potato Purée, Pickled Garlic & Toasted Corn Relish, and Herb Jus. What happened to this place? Had a great meal (a little overpriced for the portion but fine for Brickell). I was hoping to go back!